The Eastern Shore of Virginia is a unique place to live. 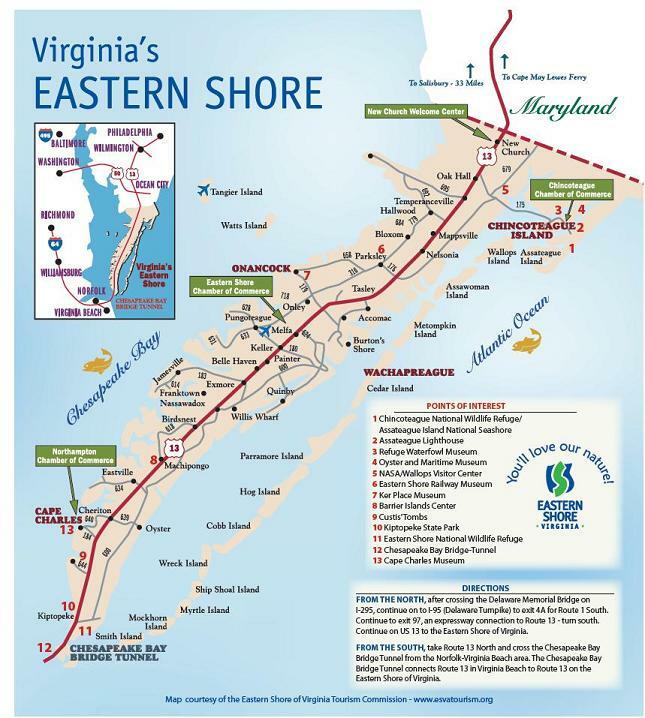 We are a 70 mile long peninsula surrounded by the Chesapeake Bay and the Atlantic Ocean. We have many barrier islands dotting our shore lines, some uninhabited but a few are lived on or visited. There are many towns on the Eastern Shore of Virginia, each with a rich history and wonderful people. I have included links in some towns to information. Wallops has a link to NASA Wallops Flight Facility.